Children in the Foundation Stage are given access to healthy snacks throughout the morning at a cost of £1.00 per week. This can be paid via ParentPay. Please see the school office for more details. Fruit is also provided by school for children in our Nursery and Reception classes. Children arriving after 8.40am will need to sign it at the school office. 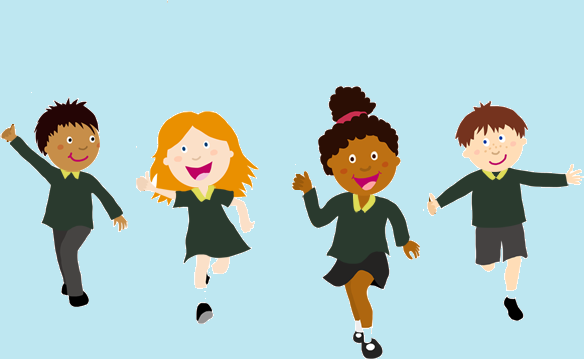 Children who are not picked up by 3.15pm will be put into our after school club (fees apply). Fruit is provided by school for children in Key Stage 1 for their morning snack. Children may purchase toast and milk for their morning snack. This can be paid via ParentPay. Please see the school office for more details. Children are able to bring their own packed lunch or purchase a school dinner. School meals are charged at £2.00 per day, if you think you may be entitiled to free school meals then please telephone 0161 909 6508. If you require any more information about free school meals then please contact the school office or click the link below to visit the Salford website. The Children and Families Act 2014 places a legal duty on all state-funded schools in England, including academies and free schools to offer a free school lunch to all pupils in Reception, Year 1 and Year 2 from September 2014. For more information please see the link below. If your child is absent from school please telephone the school as soon as possible before 9.30am on 0161 921 1800 to report the absence. No holidays during term time will be authorised from September 2013.